Last week was a good example of this. It started out promisingly, with a good copy desk summit at work, solid attendance at my role-playing game, and the genre television season in full swing. Then, as VH1's Behind the Music might say, it all went horribly wrong. I had a dispute with my superiors about workload and workflow issues, several gamers got into heated debates, and my autumn allergies came hard on the heels of my summer sneezing. I'm still behind in reading newspapers, magazines, and comic books. Fortunately, things did turn around. Despite being shorthanded at work, we got some lengthy articles read and posted online in good time, and some management changes gave my unit hope amid ongoing cubicle rearranging. After assorted conversations by telephone and e-mail, I dealt with the difficult task of asking Ben R./"Slink" to leave the D&D3.5 "Vanished Lands: the Broken Chains" Arabian fantasy group. And, my favorite holiday, Halloween, came to the rescue. Janice and I decorated our second duplex in Needham Heights, Massachusetts, on Saturday, 27 October 2007. 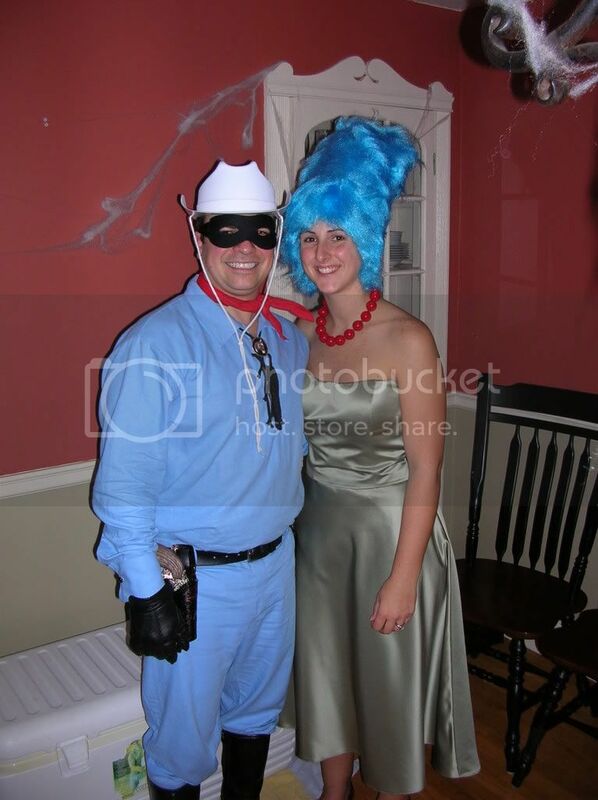 That night, we attended an excellent costume party at the home of co-worker Brian F. and his wife Melissa in Dedham, Mass. 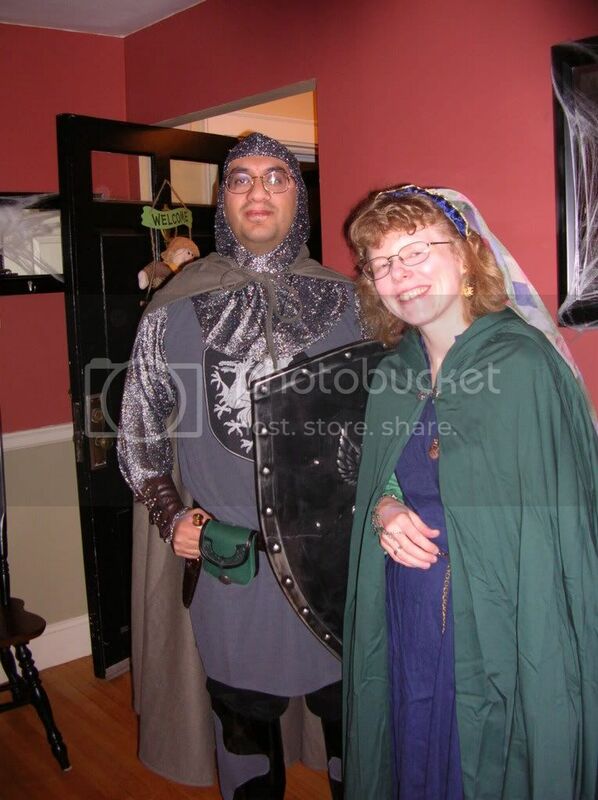 Although I've hosted similar shindigs for years, Brian & Melissa (or "the Lone Ranger" and "Marge Simpson") were very hospitable, and Janice and I (as a medieval knight and lady) hit it off well with their friends. We left as the beer pong got going, but later than we had originally planned — another sign of a good party! 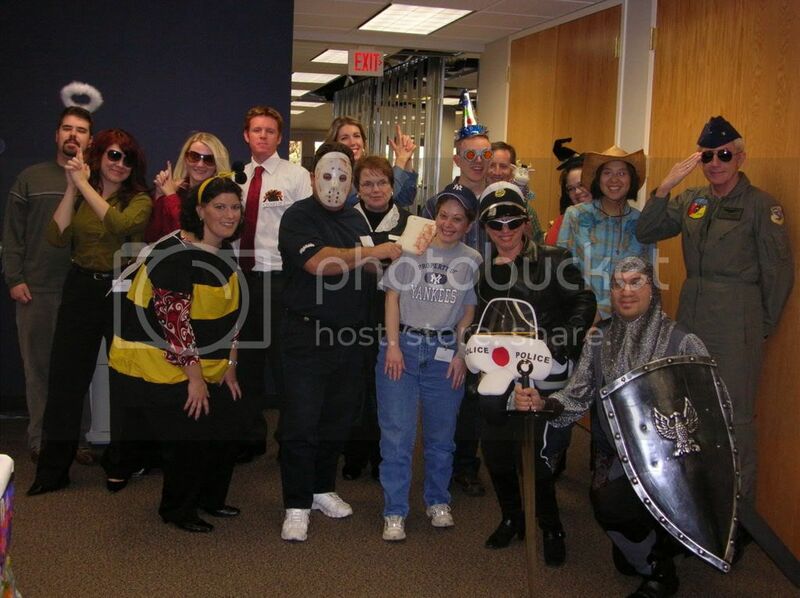 On Tuesday, I enjoyed more munchies and camaraderie at an office Halloween party. More photos of various events can be found through my MySpace.com page. That evening, the latest "Broken Chains" game went fairly smoothly after a few weeks of intraparty bickering. On Halloween itself, I chatted with college chums David I.S. 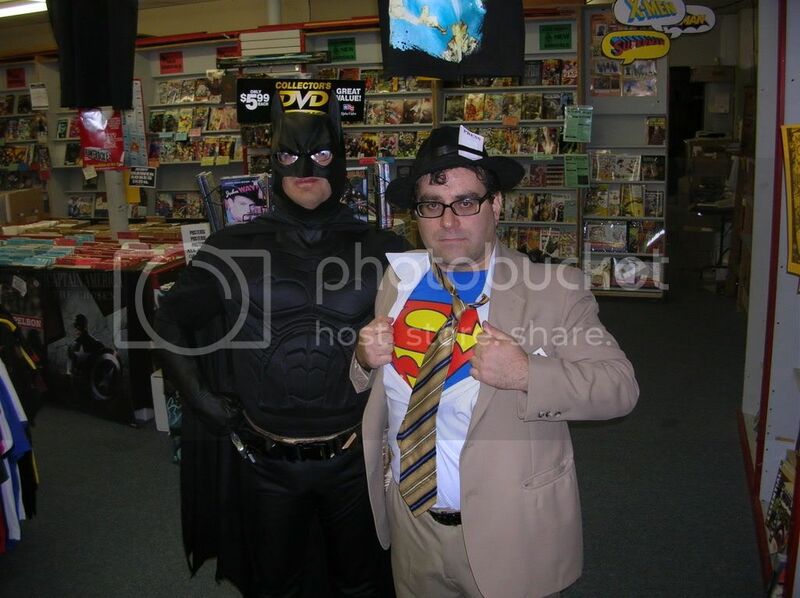 and Dexter V.H., dressed as Batman for a New England Comics run, and logged in for some late-night exploration in City of Heroes. 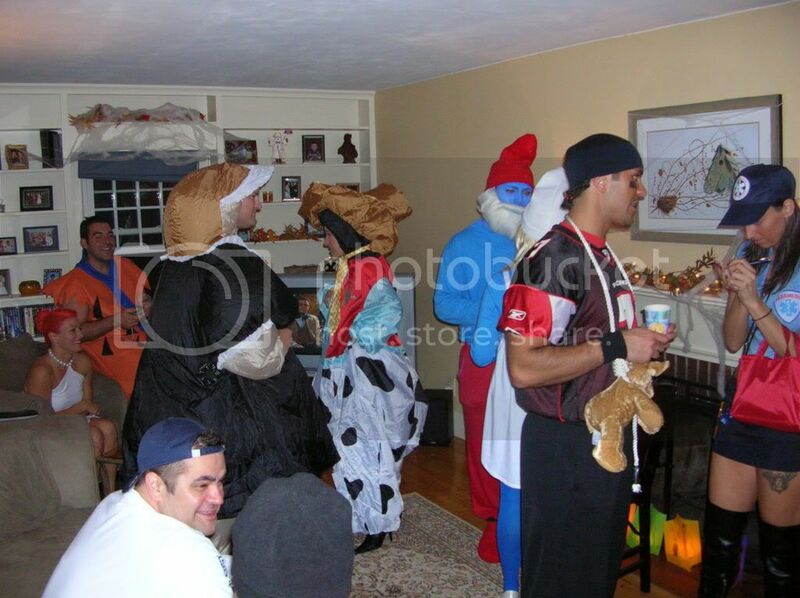 While we didn't get many trick or treaters this year (co-workers and gamers will get the extra candy), I was happy to have multiple adult parties to attend. Tonight, the D&D3.5 "Vanished Lands: Holy Steel" teleconferencing team is scheduled to resume, and Janice and I may go to a craft fair in Boston this coming weekend. It's hard to believe it's already November! Previous Previous post: Entry for October 26, 2007: Sayonara, Yahoo 360?